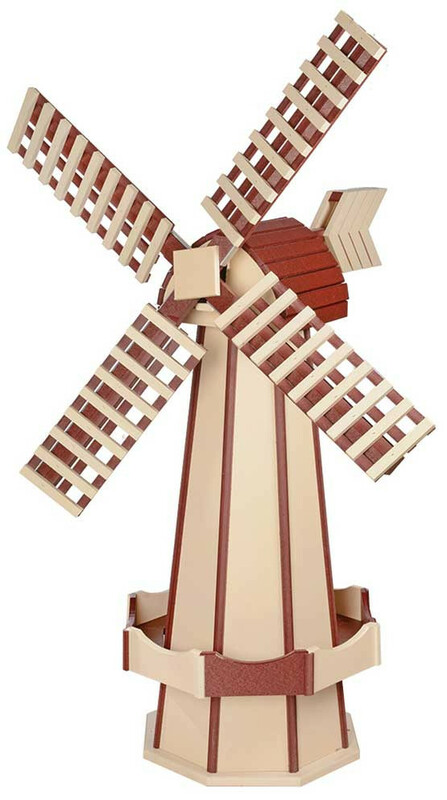 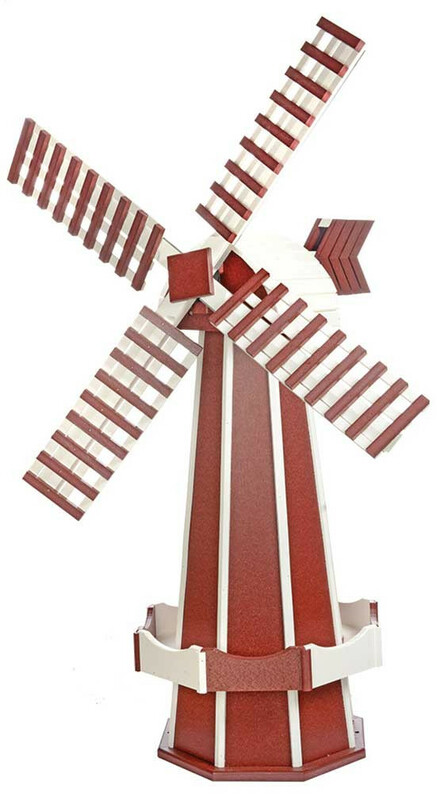 Spruce up your lawn or garden with our beautiful Amish hand-crafted poly garden windmills. Our poly garden windmills are constructed of a durable maintenance-free recycled material, built to last a lifetime. 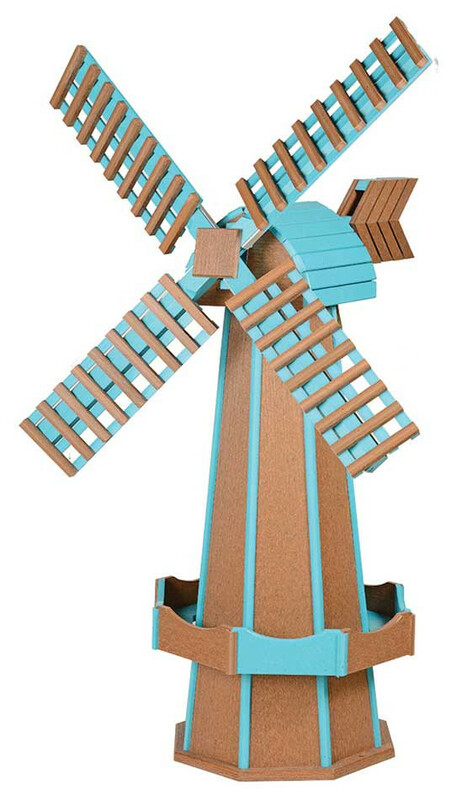 It will not splinter, crack, or fade and needs no painting. 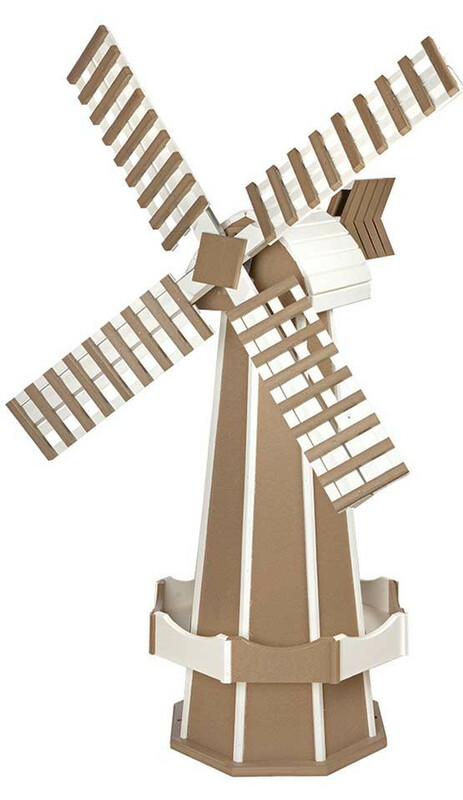 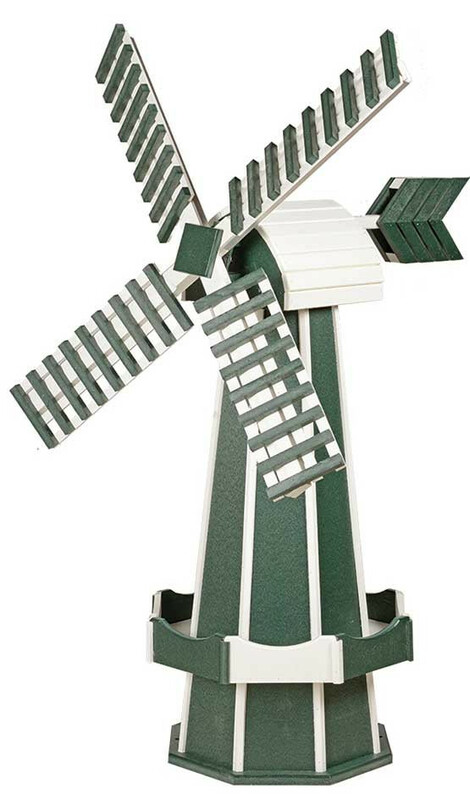 These windmills are designed to beautifully enhance your landscape by covering casings, sewer pipes or any other unsightly objects in your lawn. 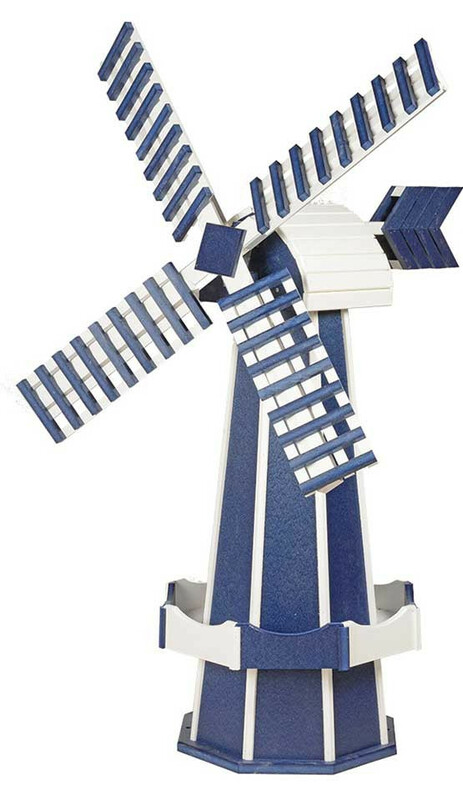 It's also environmentally friendly! 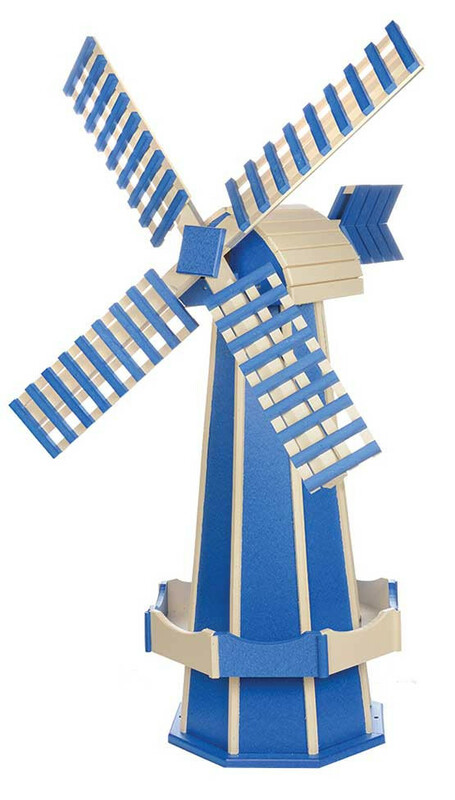 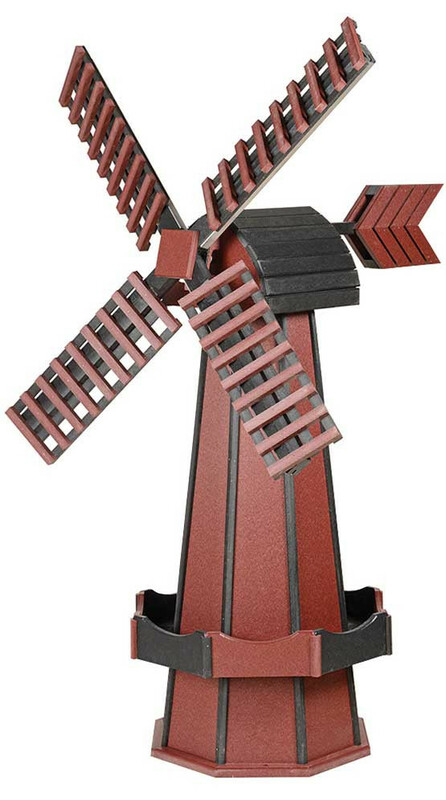 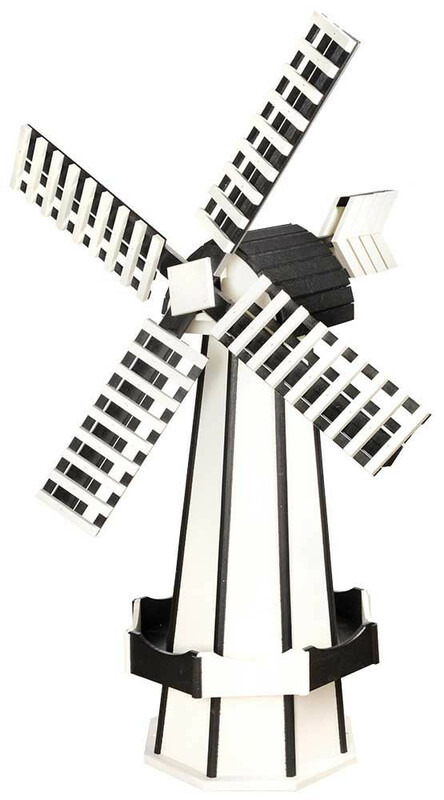 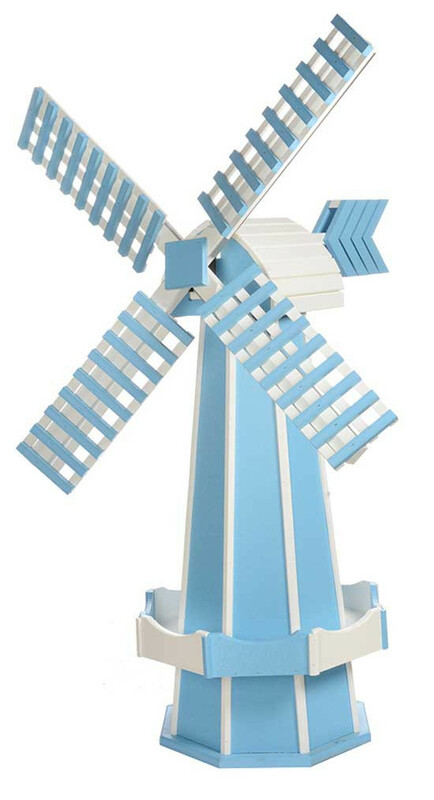 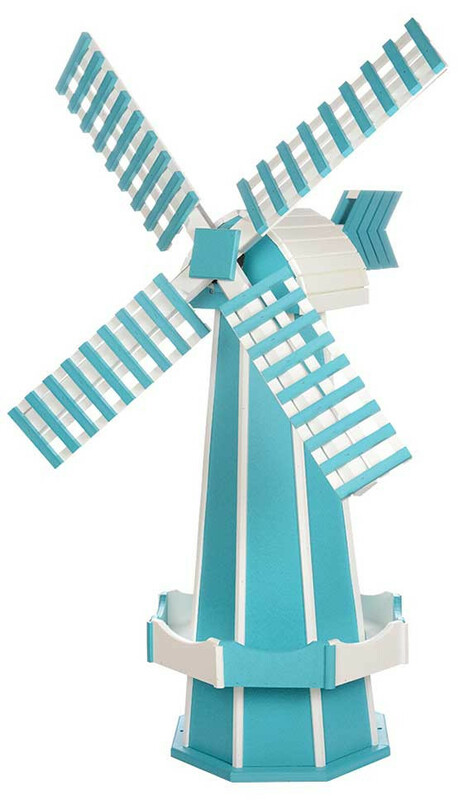 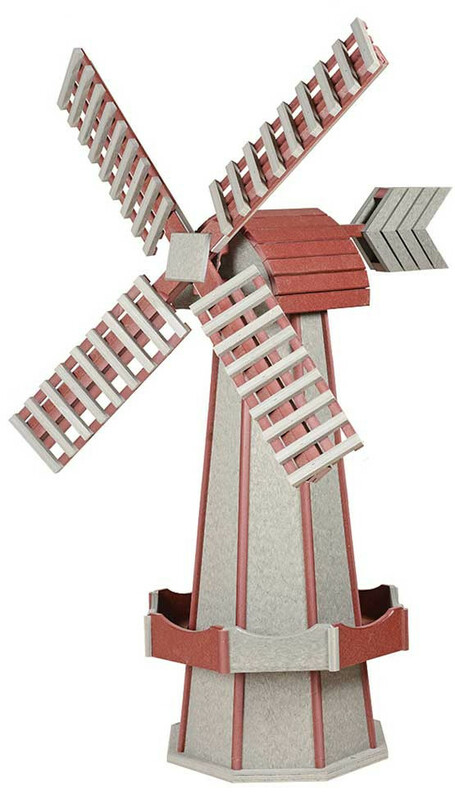 Set your windmill in place, kick back, relax and enjoy this beautiful garden windmill. 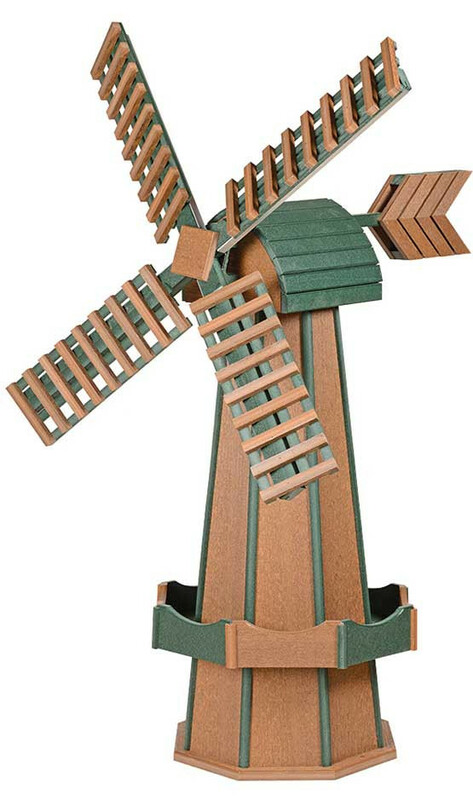 Max Inside Height 15.25" due to inside bracing.